As a boy, Christian Slade grew up in New Jersey and California, however, the sketchbook he carried was the place he really lived in. It was this other world that made him obsessed with drawing from his imagination and the world around him. Today, not much has changed. 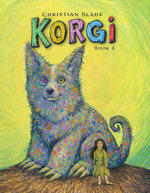 His gorgeously illustrated graphic novel series, Korgi, takes us into this world of imagination. 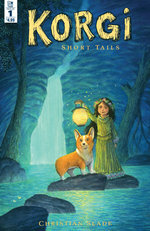 These books chronicle the fantastical adventures of a young girl Ivy, and her korgi, Sprout. Christian lives in Winter Garden, Florida with his wife Ann and their twins, Nate and Kate. 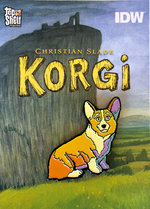 He fell in love with Welsh Corgis 20 years ago when he first encountered one. 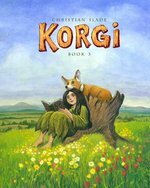 These real-life whimsical animals inspire many aspects of his life, from this graphic novel series to his daily sketchbook and painting creations.